Wud means love and an expression of love through the act of giving. 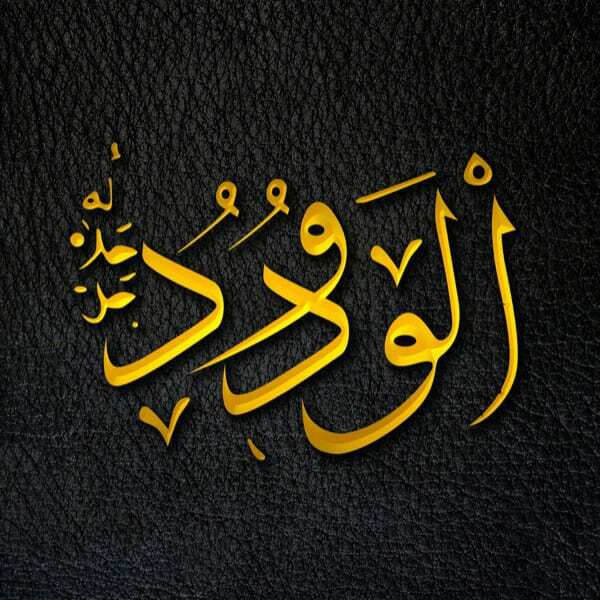 And God has Named Himself Al-Wadūd: The Affectionate. This word was specifically chosen to show that God not only loves you, but that He shows you He loves you. In a famous hadith, we are told that when God loves someone, He calls out to the Angel Jibreel (Gabriel) that He loves that person. Jibreel then calls out to the Angels that God loves that person. The Angels then call out as well, until acceptance is written for the person. If you want God's affection, God says: “Indeed, those who have believed and done righteous deeds – the Most Merciful will appoint for them affection.” (Qur’an, 19:96) If you believe and do good, God will bestow upon you affection. When you do good, you are within the realm of God's love, and He will show you how He loves you.